A social worker who admitted service user confidentiality breaches has not been sanctioned by the Health and Care Professions Council (HCPC) after it accepted the breaches were the fault of inadequate council IT systems. The senior children’s social worker referred himself to the regulator after Kent County Council began an investigation into his conduct. A subsequent disciplinary hearing found the social worker had sent 82 emails containing confidential service user information to his own and his wife’s personal email addresses, which the council said constituted “gross misconduct”. The social worker told the HCPC panel he had sent the emails to enable him to complete reports and assessments on time in a “very highly pressured environment”. The panel accepted this and evidence from witnesses that a change of IT system and building refurbishments had caused significant disruption to the children in need team over a number of months. He was otherwise a highly effective practitioner who delivered an impressive level of care to his service users, the panel reported. However, the panel agreed his failure to follow council procedures relating to sending information to personal email addresses could potentially cause harm to service users and damage the reputation of the profession. The social worker sent emails containing the names of service users and their families, details about cases, court reports, child protection reports, meeting minutes and assessments as well as information from police, education and medical professionals. But, the panel said, the social worker showed insight and remorse. He had remedied his misconduct by completing further training in data protection and confidentiality. He had also been disciplined by the council which had allowed him to remain a social worker with them, the panel said. The HCPC has the ability in exceptional circumstances to make a finding of impairment without imposing any sanction. The panel’s report said: “The registrant is an exceptional and highly valued social worker whose work is of a very high standard. He does not pose a risk to service users—on the contrary, he is a committed and effective social worker. A Kent council spokesperson said: “This individual made a significant number of data protection breaches over a period of many months, including passing confidential information to a third party.The council has a secure, remote access system which was available to the worker at this time and the worker’s colleagues did not make equivalent data protection breaches. The worker was subject to a disciplinary process and no longer works for the council. So,the bosses get off without any sanction. IT is up the swany, social worker writing reports into the night no doubt without any extra pay and due to excessive workload and Kent county council gets off…they should be sanctioned for this not the social worker. If a LA does not have adequate resources to enable a social worker to carry their tasks in a timely and safe manner ; what should they do ? In the Kent case the social worker was disciplined. How were Kent made accountable ? Totally agree Frank. Why are we seeing Social Worker’s logging into IT systems in the early hours. No one looks at that as being a Quality Assurance issue or KCC responsibility to safeguard their workers. I believe he was trying to keep up the good work by using his initiative. I am actually pleased with this outcome. It seems fair and proportionate. We have all, even those that have ticked no, done this in an attempt to meet tight deadlines especially when the IT system shuts down when working from home. I like that he reported this himself (assuming it was assuming man), this in a way safeguarded him and highlighted some of the responsibilities which employers need to take in how much resources they put in place for social workers. Talk about ridiculous logic. Never heard of memory sticks or portable IT? What a load of rubbish. This was gross misconduct and he should have been penalised. There is no excuse for breaking the law. How is it not posing any risk to the public when unencrypted emails can be hacked and such data used for ill? I hope you don’t work as a manager, we can do without your punitive attitude. In fact I doubt you work as a social worker at all or you would have more sympathy with someone trying to do a good job. As for the legions of hackers trying to break into social work IT systems…..err! Memory sticks and portable IT were blocked by my employer for ‘security’ reasons, then the EMPLOYER RECOMMENDED social workers to send documents by email to personal accounts to enable the conyinuation of home working. We all made a fuss about it, ultimately some colleagues complied and others refused but either way the service suffered. There is always one on every thread who has to take a contrary position. Maybe they are just playing devil’s advocate. Recently when the story about a number of Hampshire social workers lied their heads off under oath to the court about a child protection case and the judge was so incensed that he criticised and named them and recommended that they be disciplined and reported to the HCPC there was predictibly one contributor who supported their behaviour. By the way this case has now been forgotten it seems. Look at some of the HCPC hearings and it is astounding what some social workers do. If the HCPC exonerates him then they probably have good reason. This is a relatively minor transgression with some compelling justification and he has been disciplined and I am not condoning it but I would be happy to have him as my social worker. However I would fear having you as my social worker as you obviously believe in retribution and not rehabilitation. Give the man a break. Please tell me that you are not a practicing social worker !! Under the new HCPC guidelines would this Social Worker also be required to whistle blow on his L.A. if his case load was so high as is indicated by him needing to write reports at home when the office has closed. 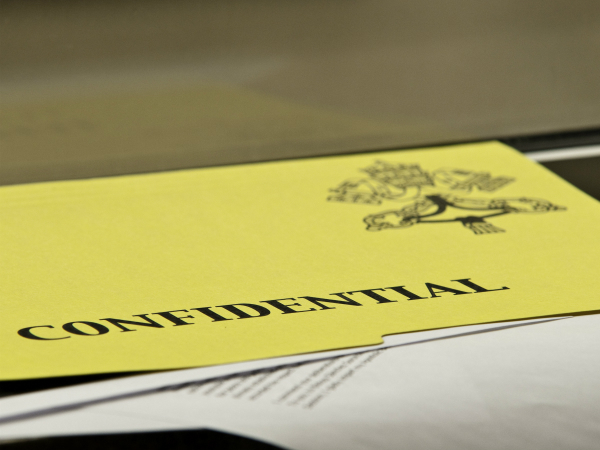 I can honestly say I have not sent confidential information pertaining to clients. I have however stayed at work until after 10 pm and gone in at 6 am instead of 8.30 am to ensure work was completed to the detriment of my young family! I have to say that, your obvious dedication to your job aside, the longer that social workers continue to make martyrs of themselves by working late, taking work home, making themselves ill in the process and covering up for a lack of resources, the longer they will be relied upon by employers to do it. Do any of us get free pay? Then why do we persist in doing free work? This must stop. I like the fact the social worker took control of his situation, stood up the LA and self reported to HCPC, this would have frightened the L A and forced them to deal with internal matters appropriately in fear of HCPC scrutinising them within,their own investigation. Had the social not done this I think the LA would have made an,example of him. Maybe we social workers should do more self reporting to HCPC to help prevent LA from bullying their employees and force LA to be made accountable for their failings……sad state of affairs those that we have to,work like this.. .
Perhaps as part of ‘Stand Up For Social Work’ (SUFSW) we should all go home on time when contracted hours are complete leaving the PC off documents locked away and an e-mail to middle and senior managers and (councillors) informing them of the same – but it won’t happen – the goodwill continues to be exploited – maybe a sub slogan for SUFSW should be ‘No More Free Social Work’? I have massive sympathy for the Social Worker. At times we cant do right for doing wrong. I have seen colleagues sending work to their personal email adresses in order that they can go home and carry on with their work and i have expressed concern about it; the subject has been a source of debate many times in the office as to whether this practice should or shouldnt take place. I personally have never thought it good practice and it should not happen for several reasons. Having said this i totally understand why colleagues have done so. The IT equipment has been so poor for so long and hasnt allowed for people working at home after hours on council equipment. In my previous authority a memory stick would not work in the computers due to limitations imposed by IT so this wouldnt have been an option. Well said Graham, Planet Autism obviously lacks understaning of Social Work pressures and the despiration that many Social Workers feel on a daily basis and i dont just mean Monday to Friday. I praise the Social worker for addressing the issue once brought to their attention that their practice was unethical and breaking confidentiality protocols. It is refreshing to hear a story whereby the Social Worker wasnt persicuted and i agree with others that the LA should be looked at more closely as to why their staff feel that this method of working was necessary to keep up with work load. I consider myself hard working but i have learnt, at the expense of my own health, that working over hours is not the way to tackle excessive workloads and i will no longer work stupid hours unless i can claim it back and it is not a regular occurrance. Management often see this as an answer to their problems and will at times take advantage of the worker. I maintain regular contact with my Managers (I’m lucky in that my Managers put a lot of importance on Supervision monthly and have an open door policy) letting them know where my caseload is up to and when it is getting too much. Yes at times i feel that they are under so much pressure that they put more pressure on me and my colleagues than they should but i know they try to protect us. Good Management is key and if on a regular basis the pressure is passed down i see this as weakness on the Managers behalf and perhaps they shouldnt be in the role they are. Past Managers i have had should not have been in Management but the nodding dogs are exactly what higher upper echelons prefer. Someone to do their dirty work without kicking off. A bullying culture develops which is in part why i left my previous LA. Ultimately the Social Worker sounds like the good sort and someone i would want on my side. I’m sure they like us all they are learning from their mistakes. Chin up matey carry on the good work!! The HCPC is due to be axed as our regulator in the near future, I wander how many practitioners will feel able to self report these type of incidents to the new regulator?. Well done to this Senior Social Worker who had honesty and integrity enough to admit their mistake. I agree with Graham, whilst I have never sent work home to my personal email and I don’t take work home either, the councils have a lot to answer for, but it is always the social workers that become their scapegoat. Its about time they were held accountable for their failure to provide the right equipment and manageable case-loads instead of always blaming the SW when things go wrong. I often feel that the HCPC is a bit too trigger happy on SW’s when the problem was created higher up the managerial chain and they should look to making an example of them instead of the poor SW. Unless, I am working on a life or death case I always make it my aim to finish at 5pm, the end of my working day. I learnt many years ago that taking work home or working late benefits no-one except the council and you get no thanks from them.